Nokia has released three new phones. Nope. They all come with Symbian OS but, hey, it’s the new version – called Symbian Belle . 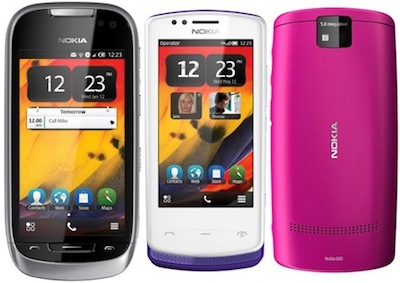 Then Nokia up and comes out with three new Symbian phones today. QUIT IT. Seriously. Finland. Do you read me? Stop making Symbian handsets. Repeat: kssshhhh Stop making Symbian handsets. Save your money for the Mango models. Wow us in October with something unexpected: competition for the iPhone. I’ll switch in a hummingbird’s heartbeat. And I won’t be alone. What did I say about a “sudden drop in gold”? Is -8% enough?